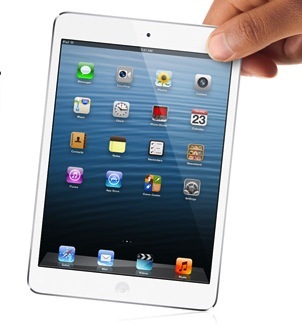 Apple announced its new iPad mini would start pre-orders on Friday, October 26th. As for the time when we can pre-order online at Apple.ca, it will be once again at 12:01AM PDT (3AM EDT) just like it was for the iPhone 5. Both Wi-Fi and Wi-Fi+Cellular models will be available tonight, but cellular models won’t ship until two weeks after the November 2nd launch date, starting in the US first, then gradually to other countries. This is the regular time we have expected online pre-orders to take place on Apple’s website and we have double confirmed it by calling Apple online sales ourselves. The agent we spoke with noted he was going to be personally working the 3AM eastern time shift to place online orders for the iPad mini. Another told us his documentation specifically mentioned 12:01AM PDT. Once again, orders should be able to be placed within the Apple Store app like it was for the iPhone 5, which turned out to be more convenient as Apple’s website slowed due to the massive influx of traffic. 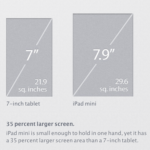 Are you pre-ordering the iPad mini tonight? What color/configuration will you be getting? Update: Clarified the availability and shipping times for both models.